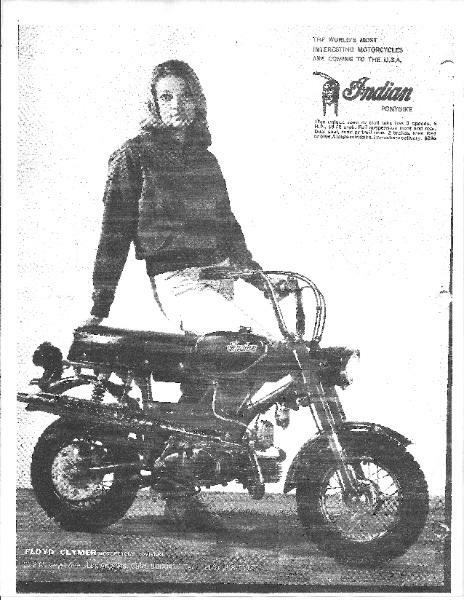 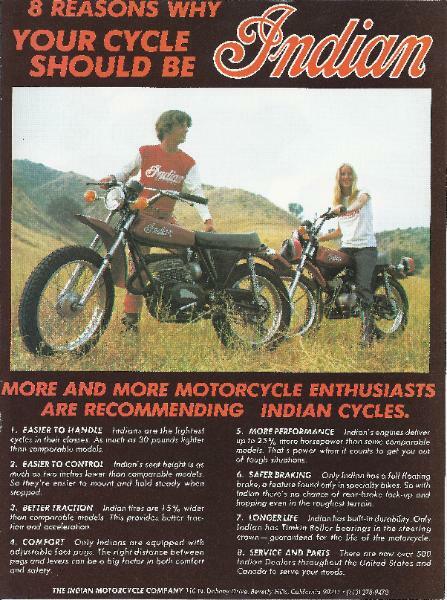 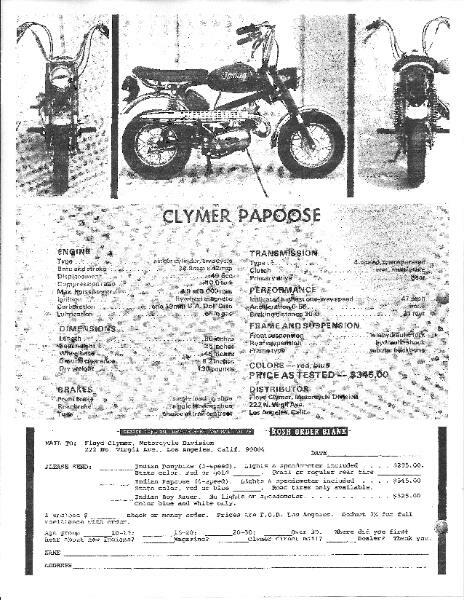 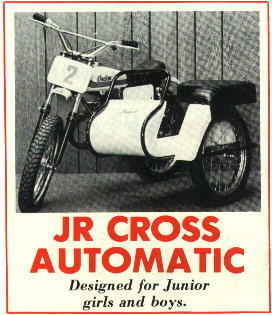 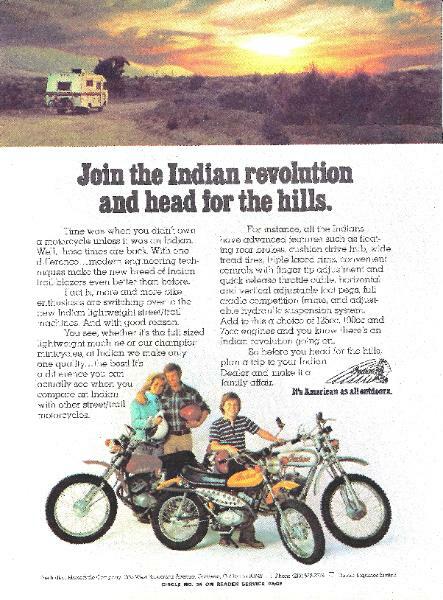 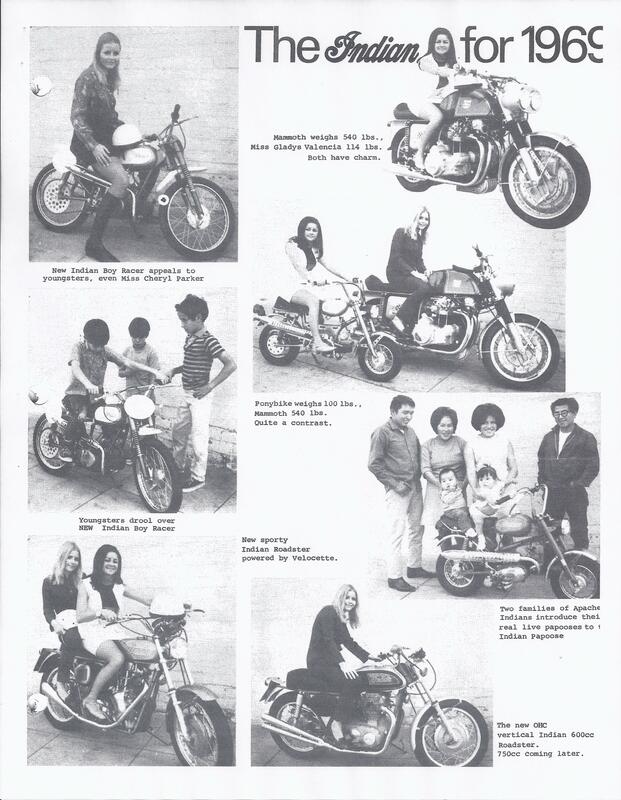 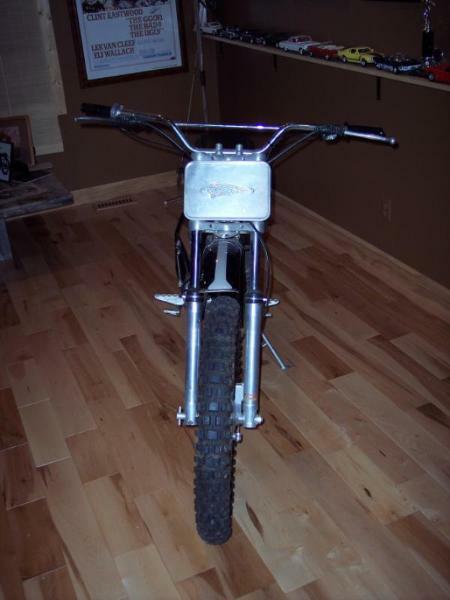 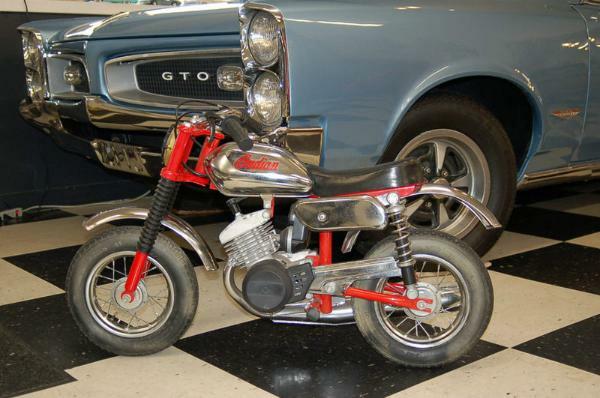 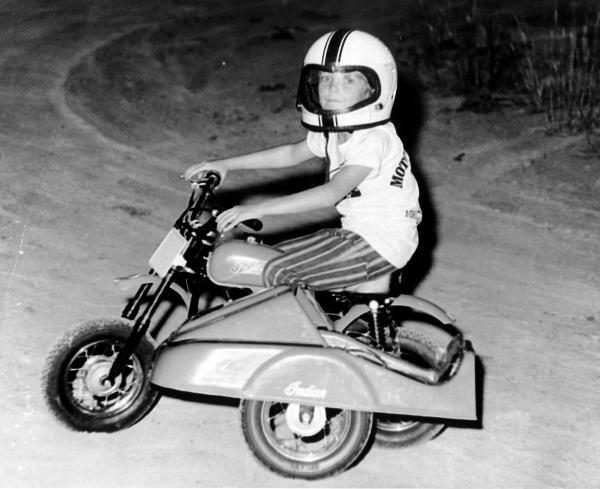 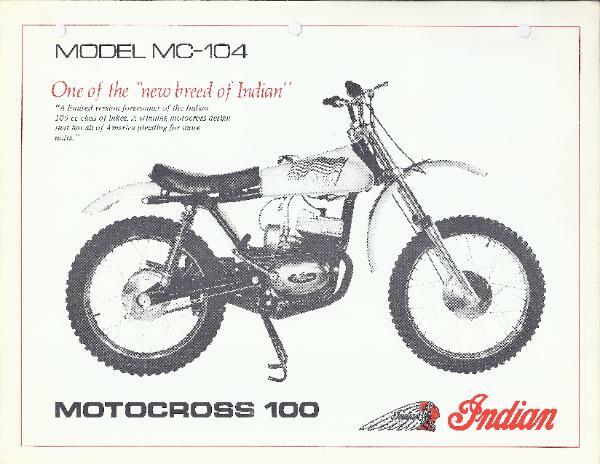 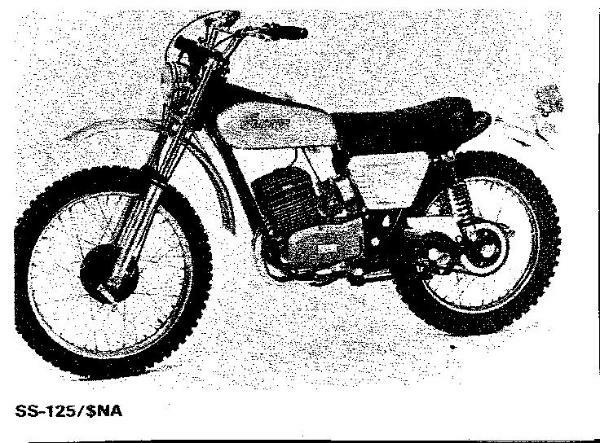 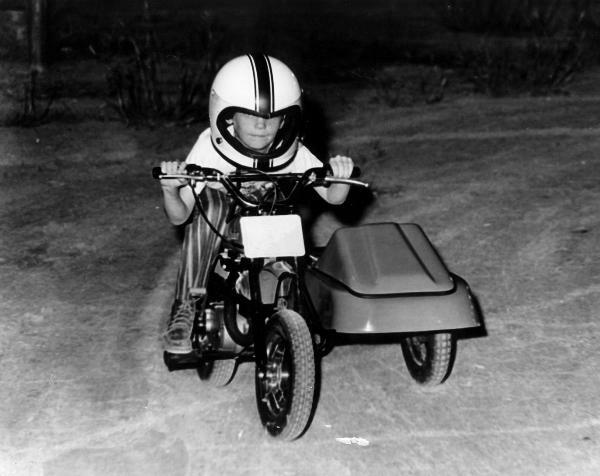 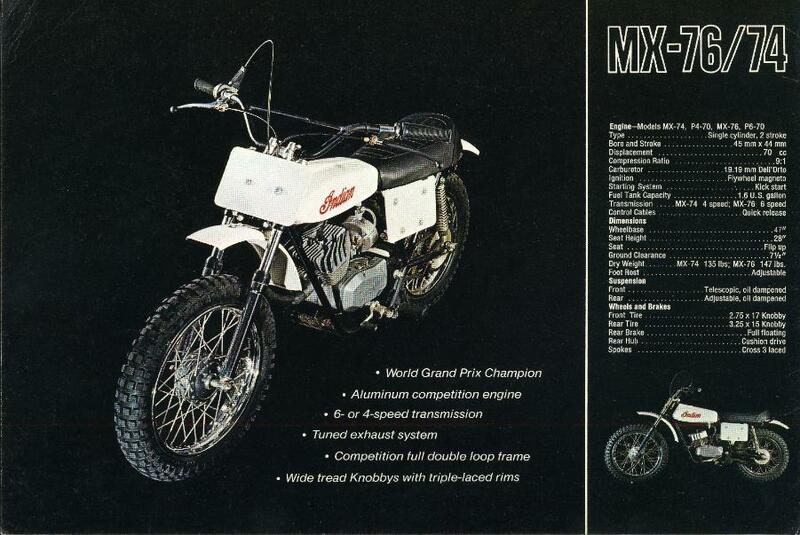 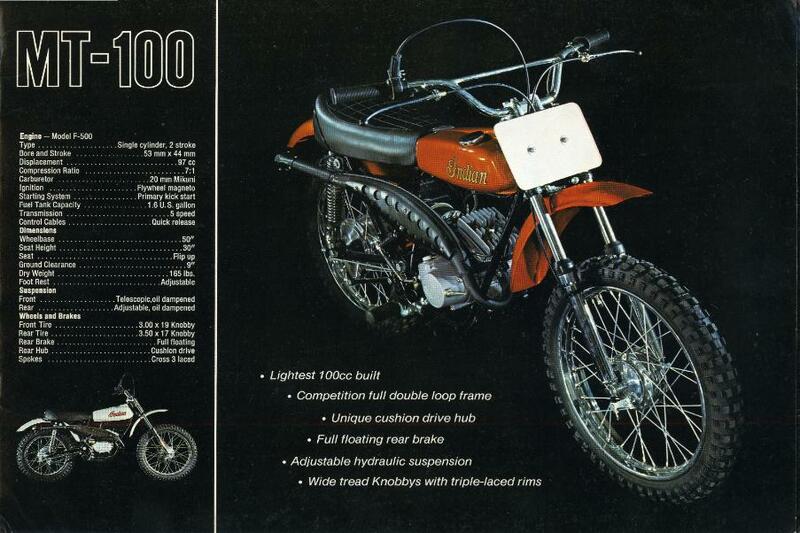 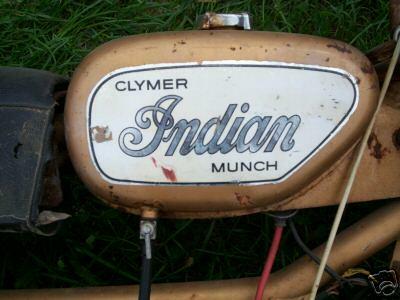 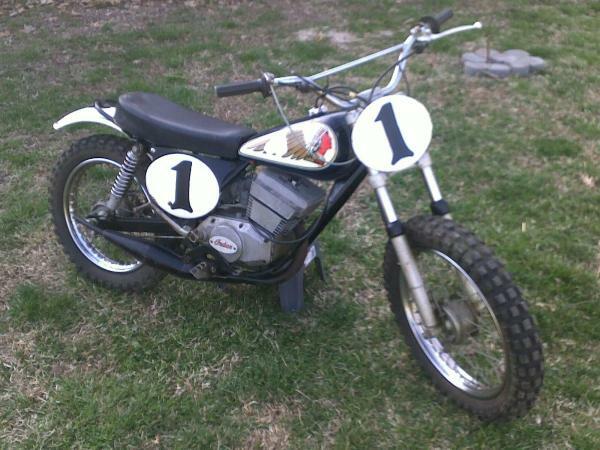 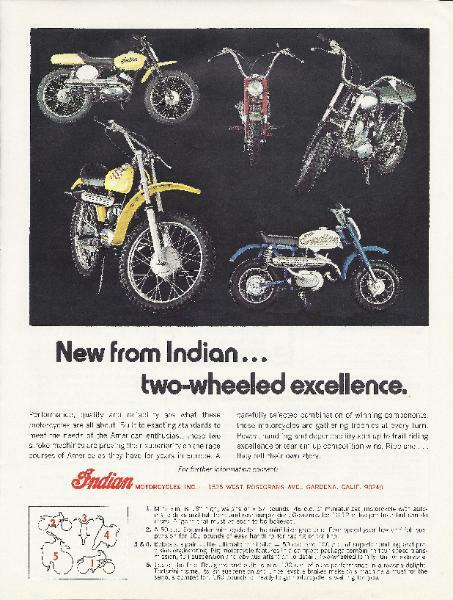 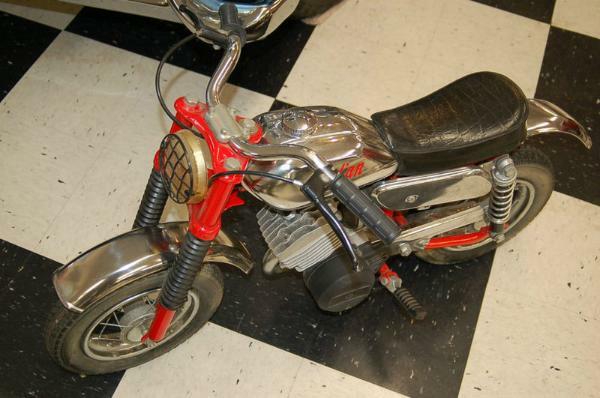 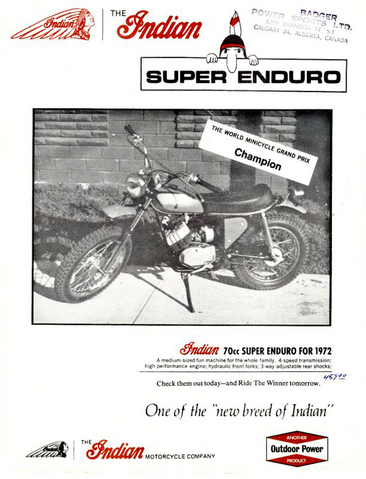 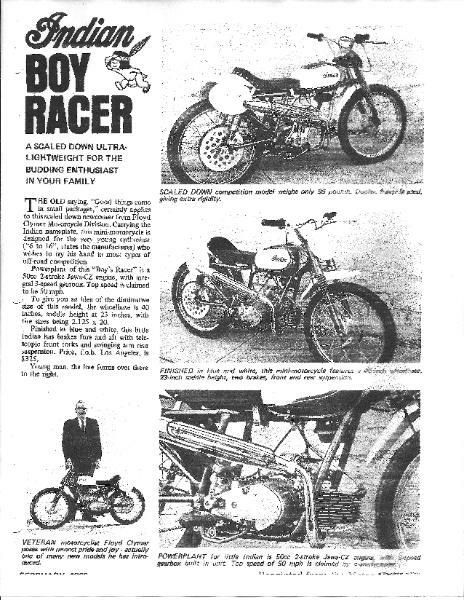 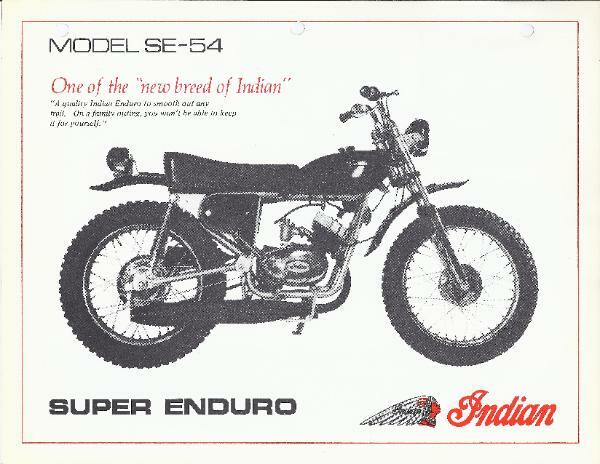 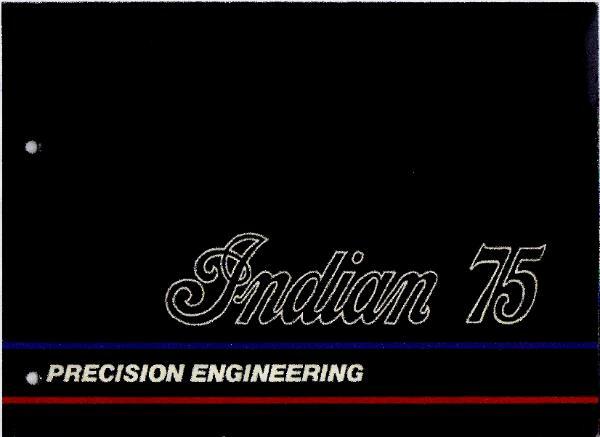 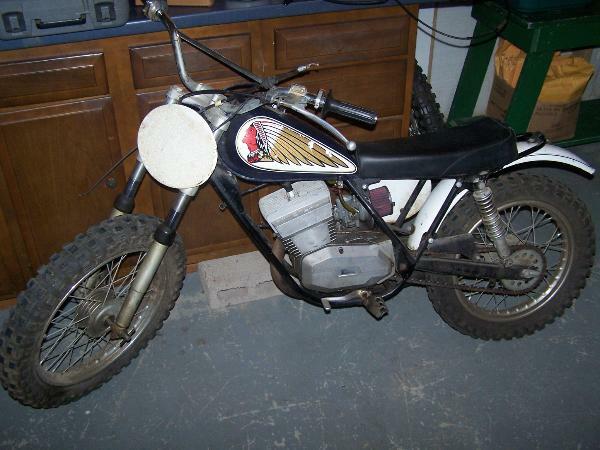 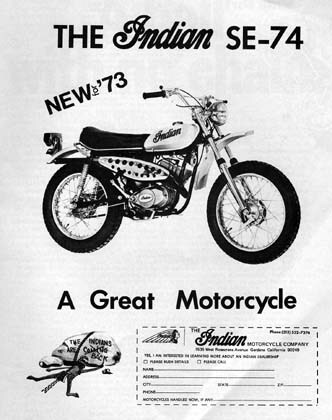 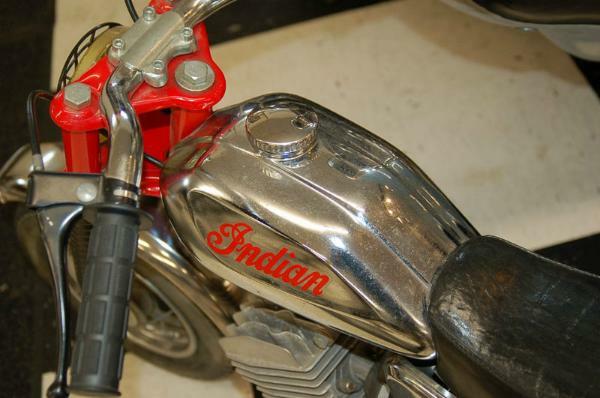 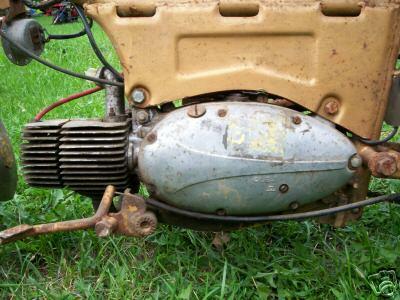 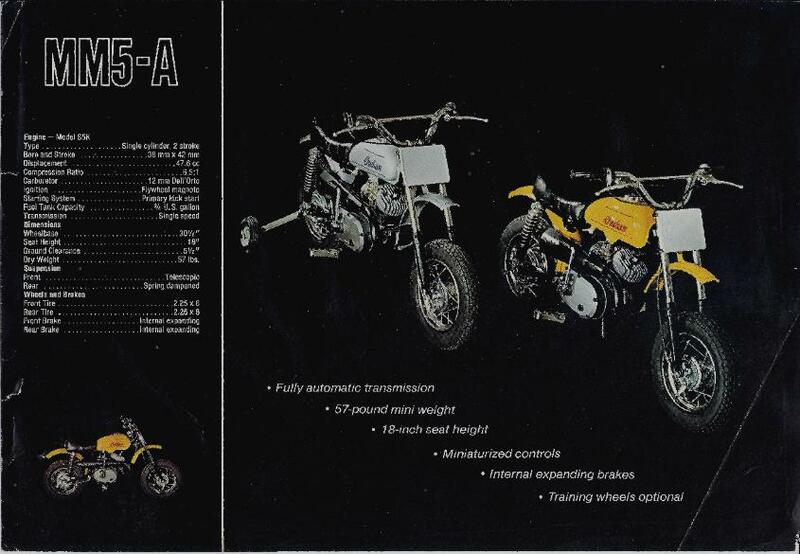 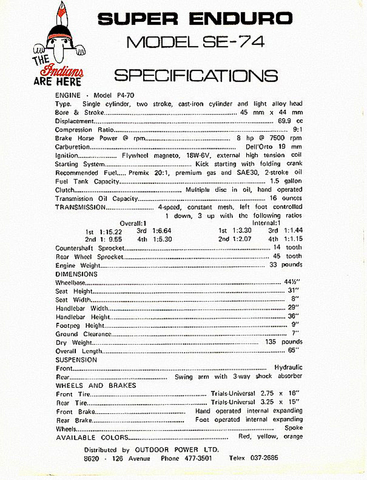 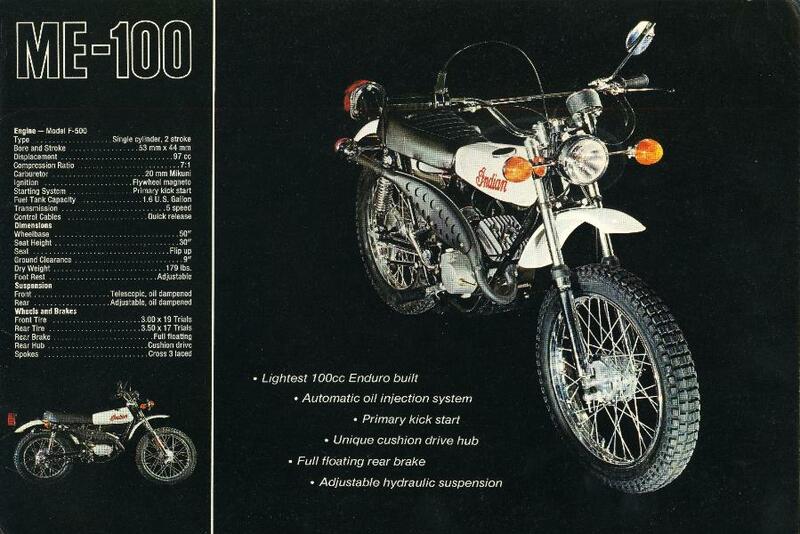 We sell NOS parts for the 1970s Indian dirt bikes. 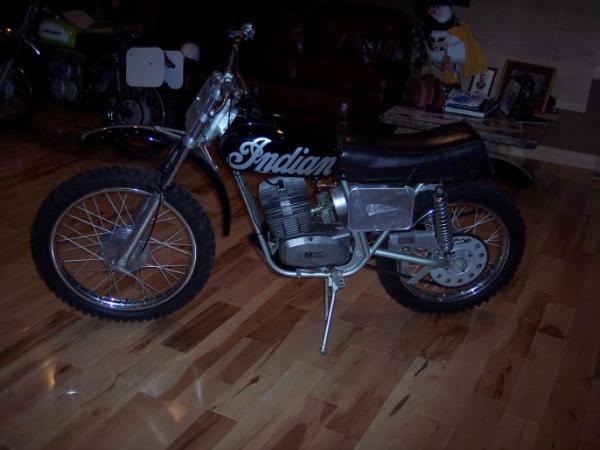 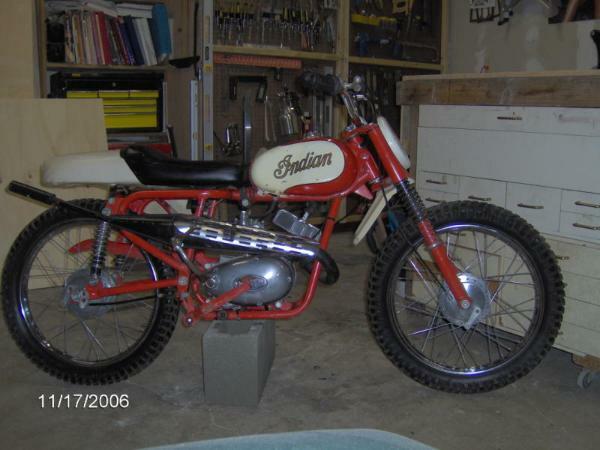 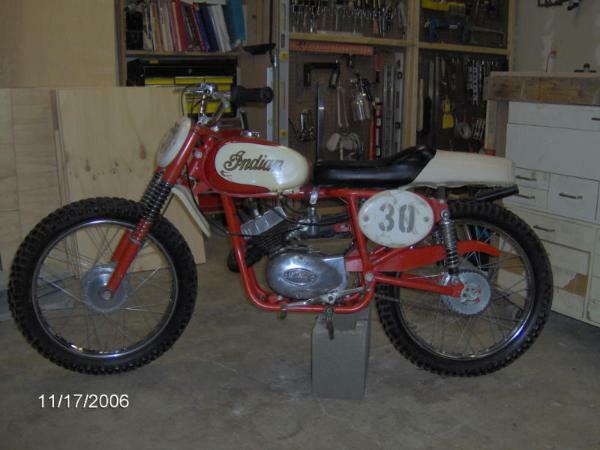 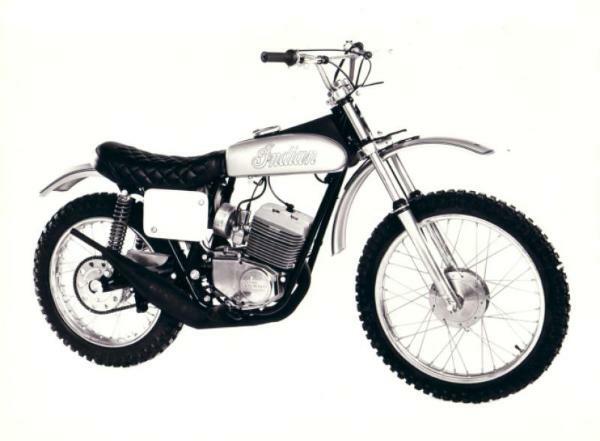 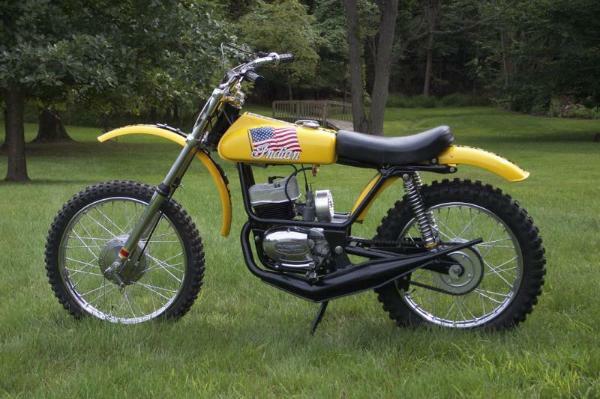 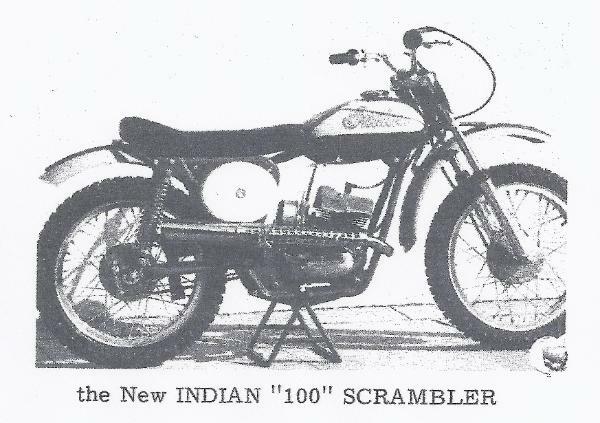 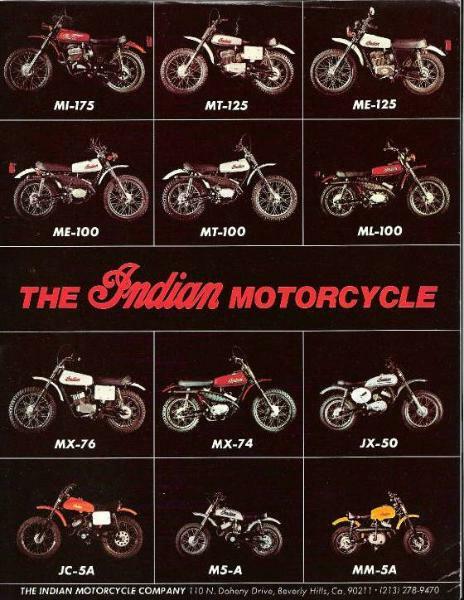 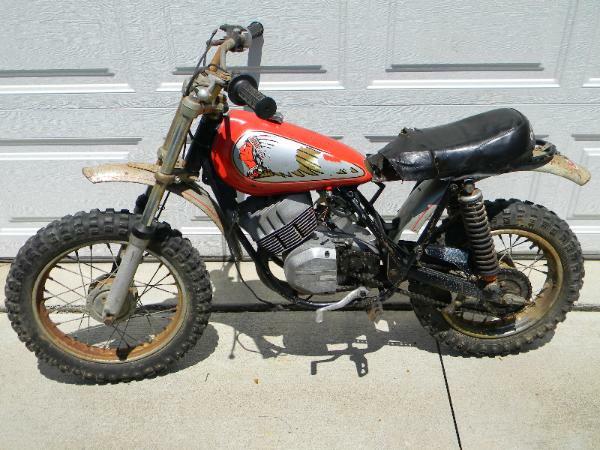 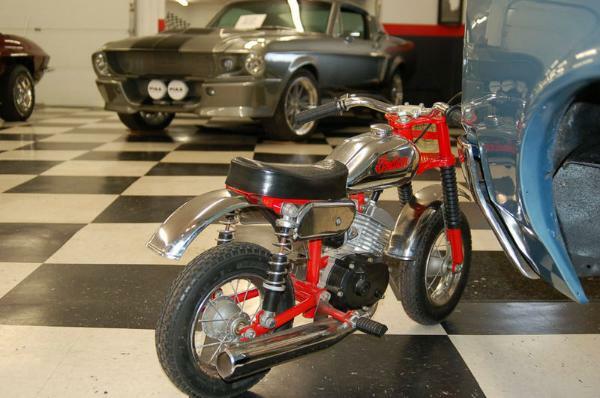 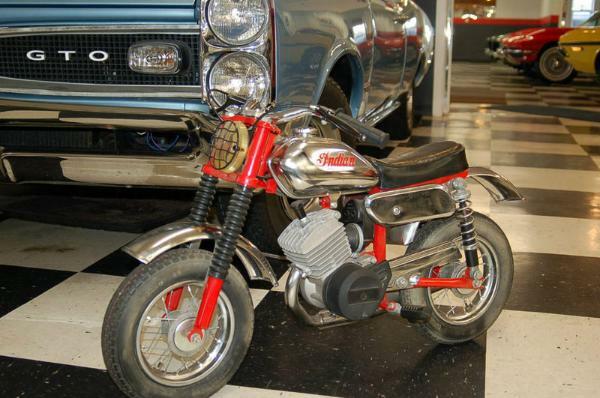 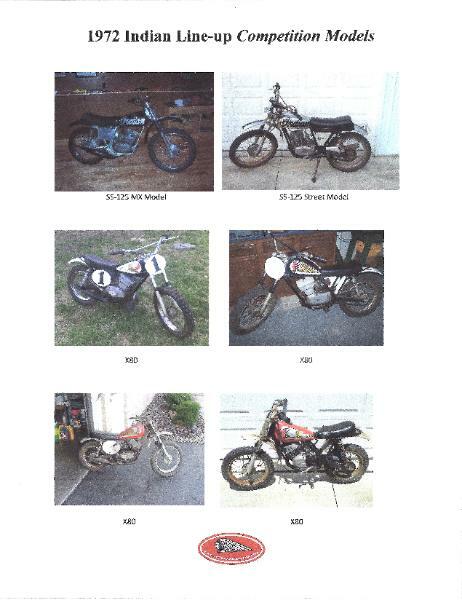 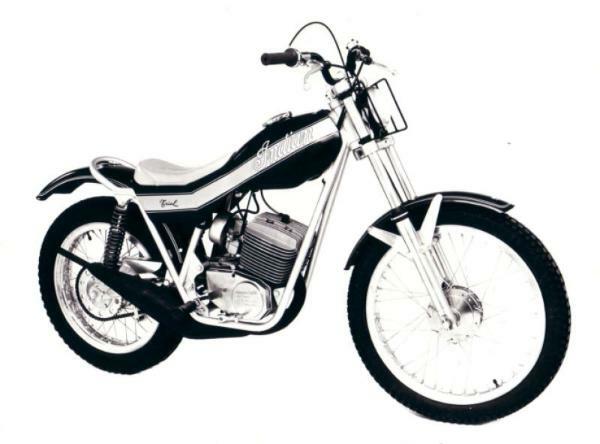 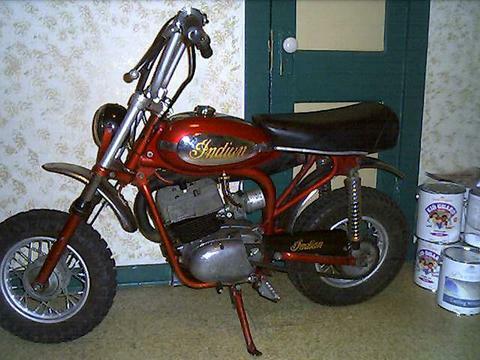 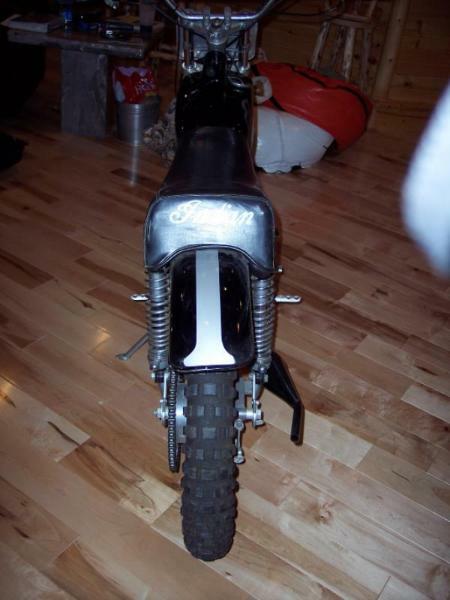 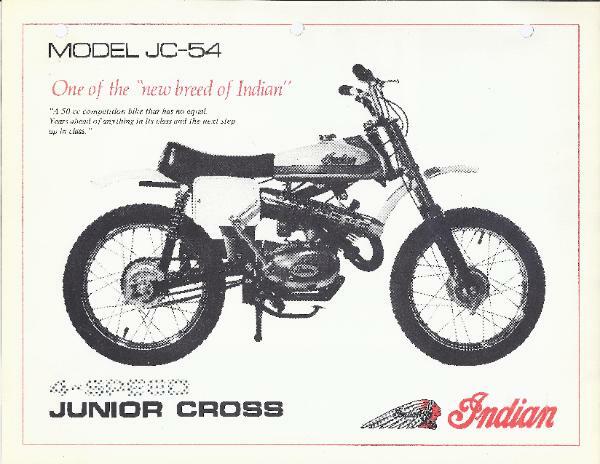 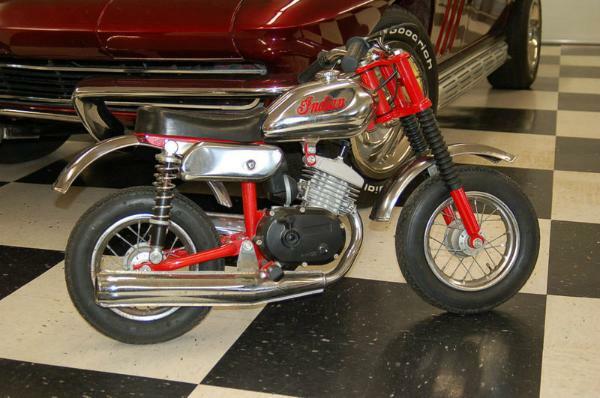 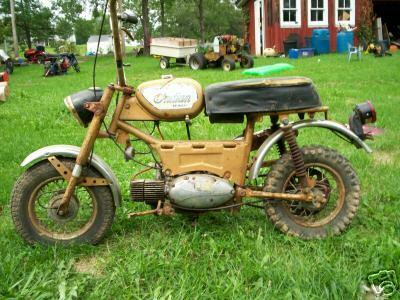 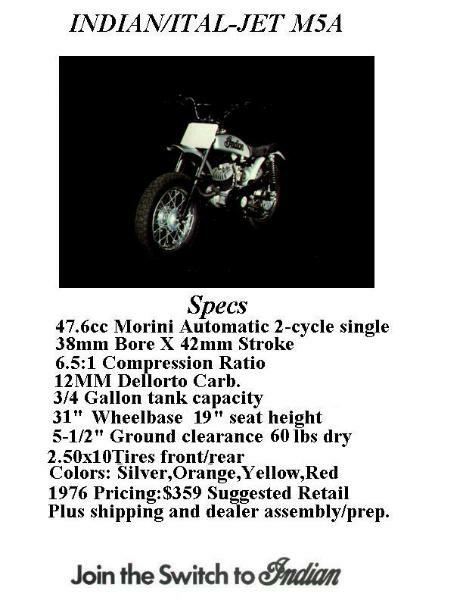 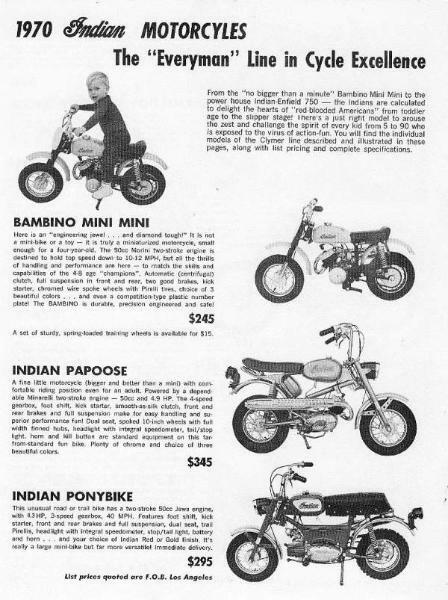 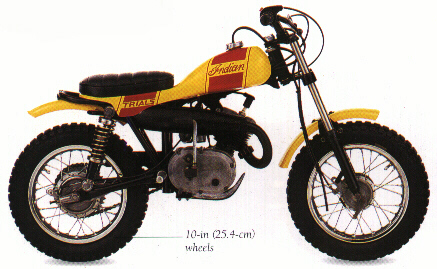 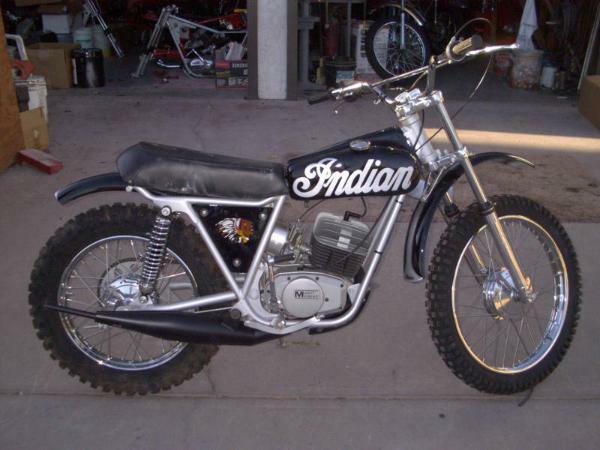 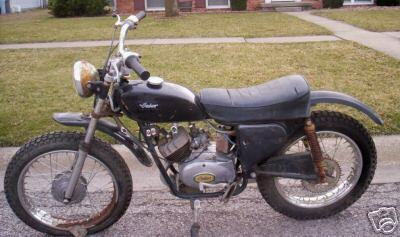 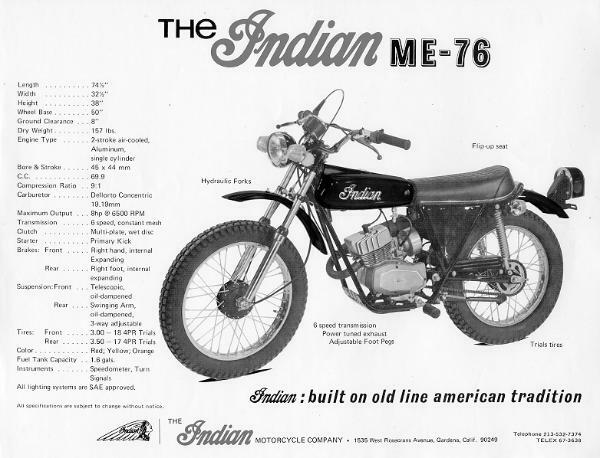 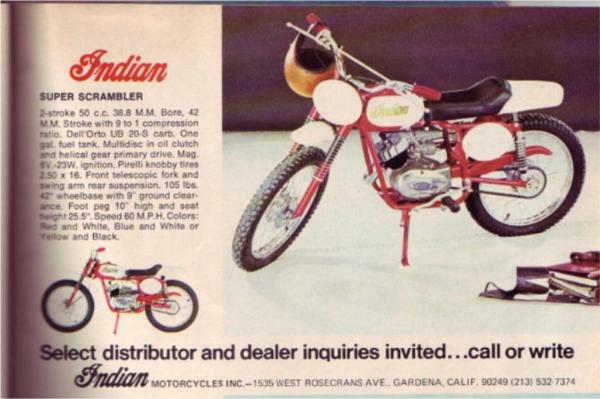 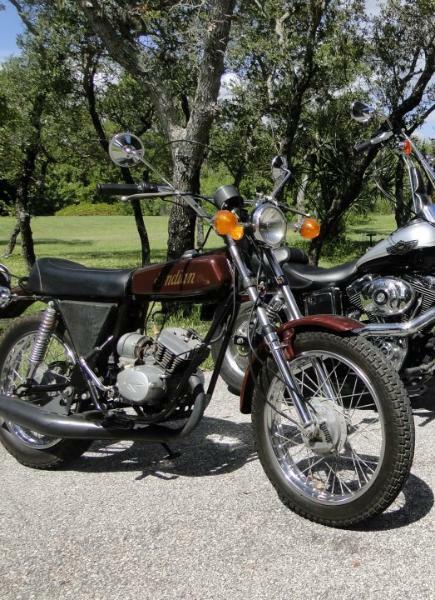 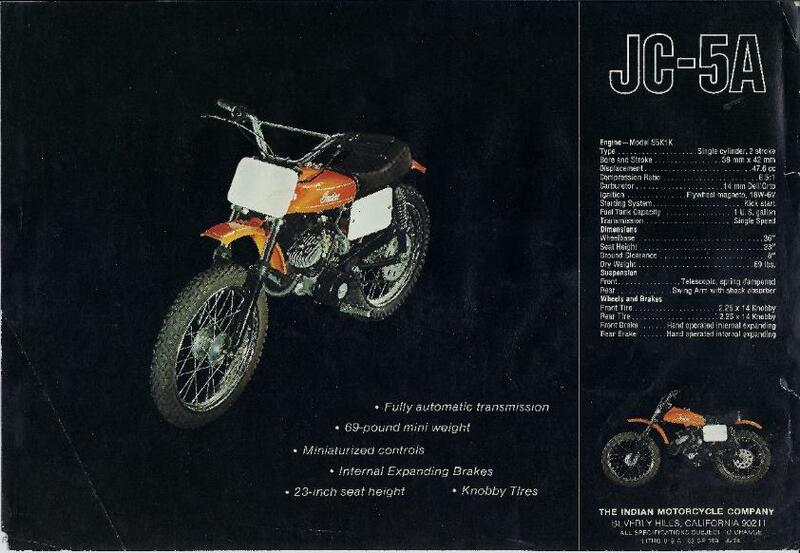 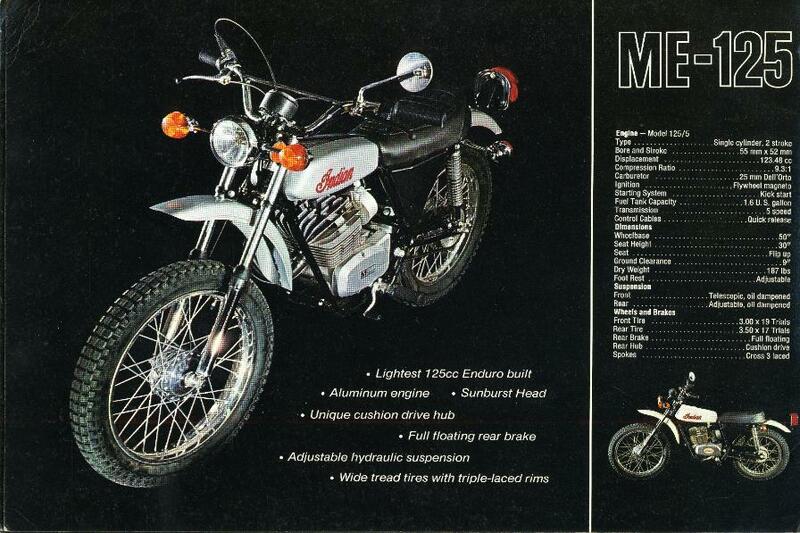 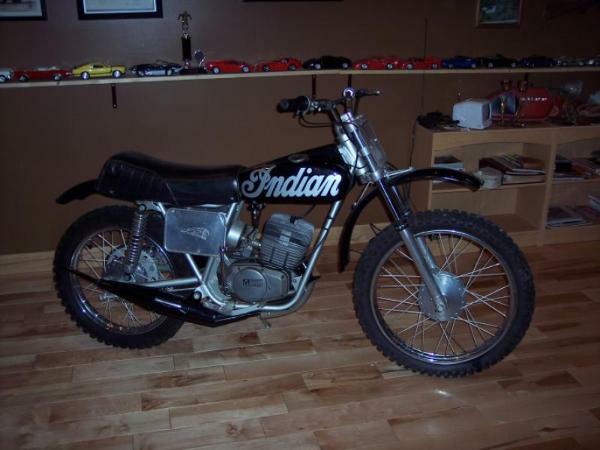 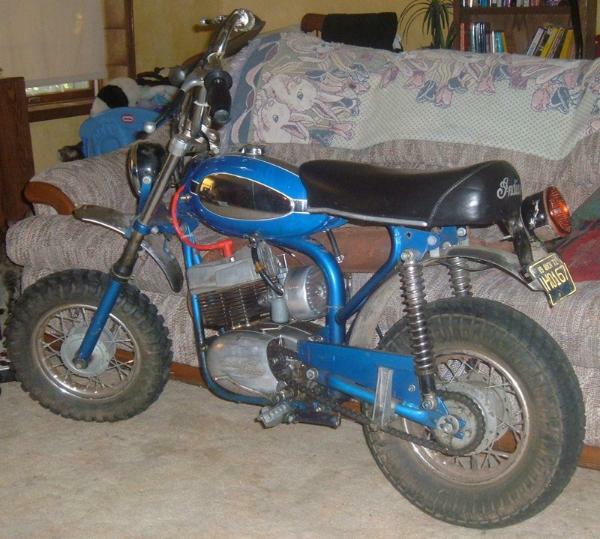 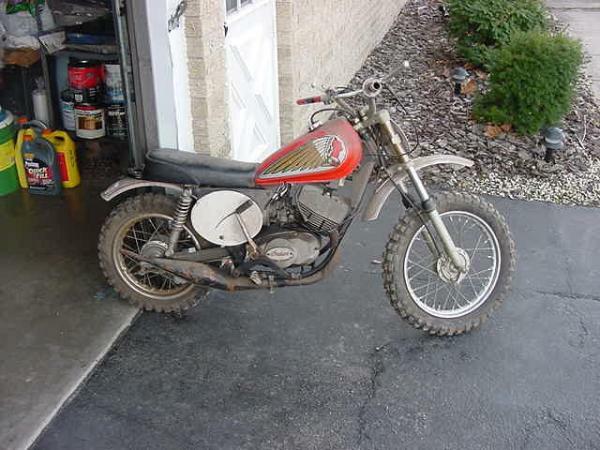 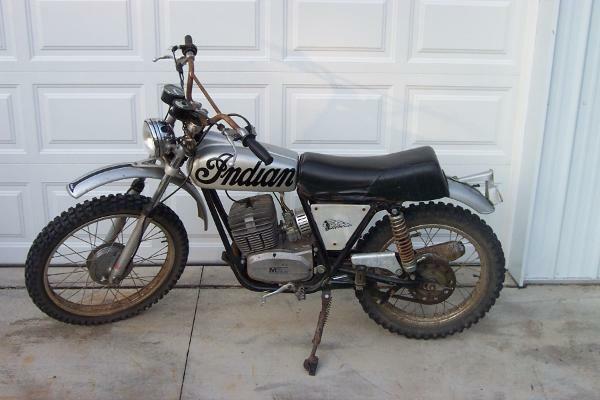 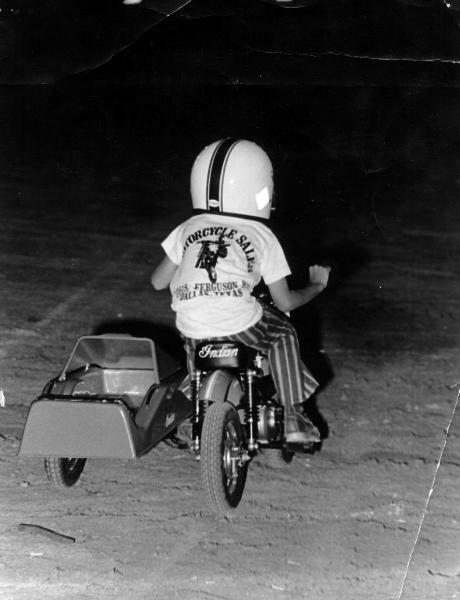 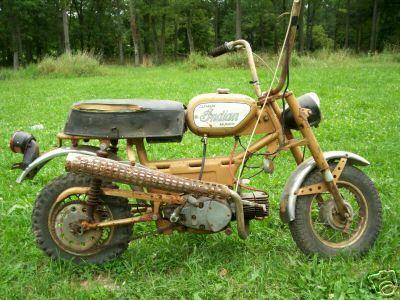 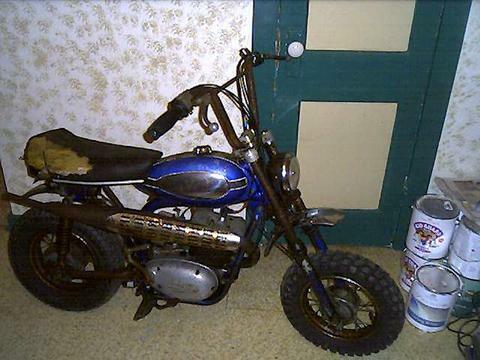 Here is a list of possible Indian dirt bikes (motorcycle, dirtbike, minibike, mini) that you may have. 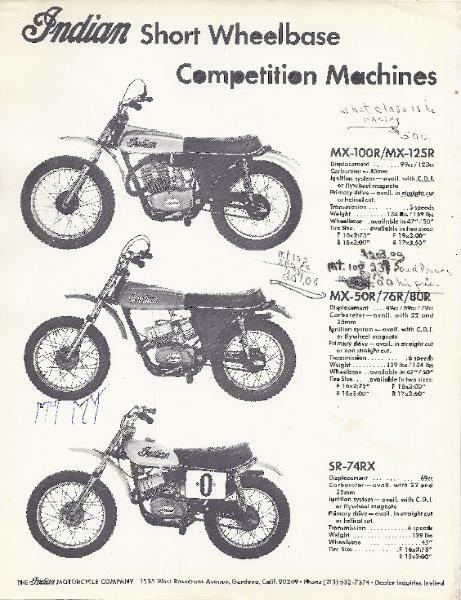 175, MS-100, 125, 175, MI-100, 125, 175, SS-125. 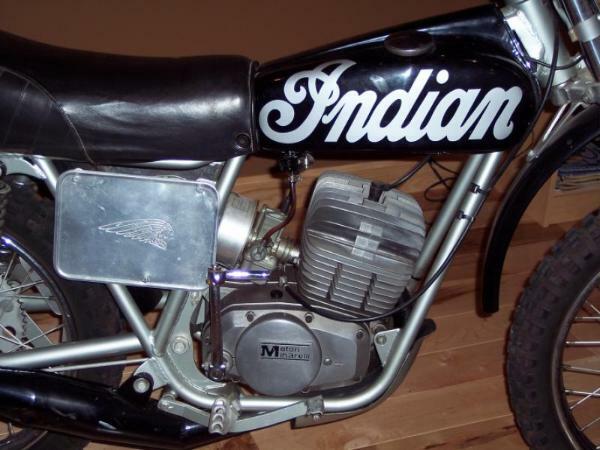 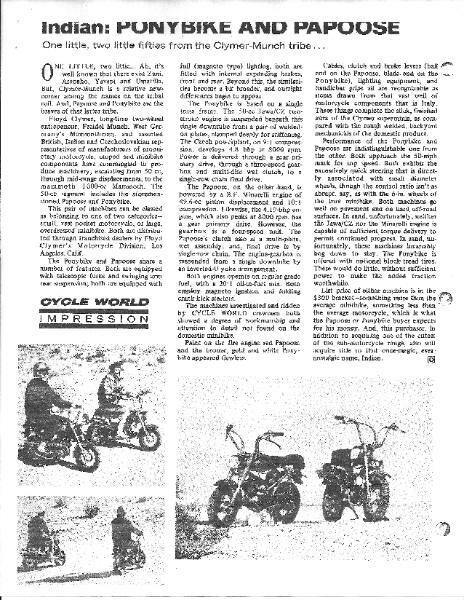 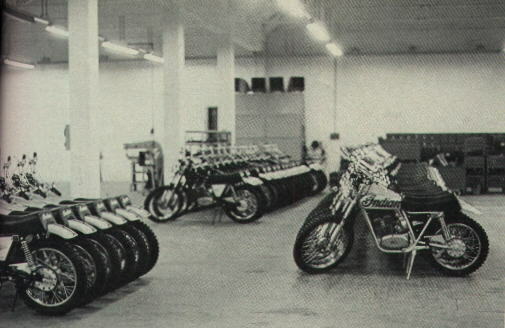 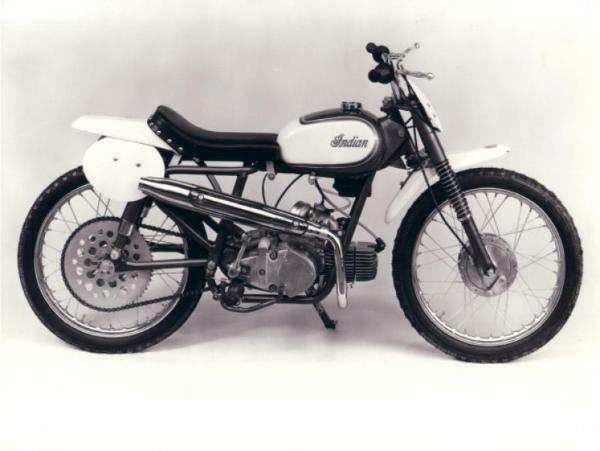 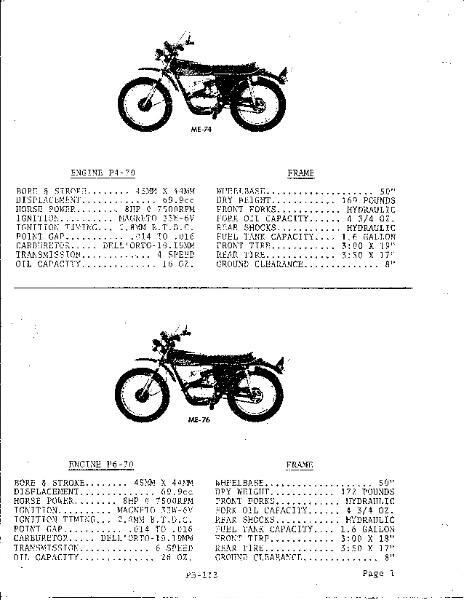 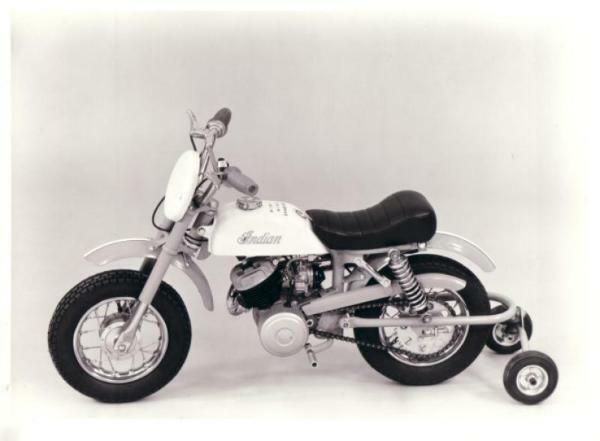 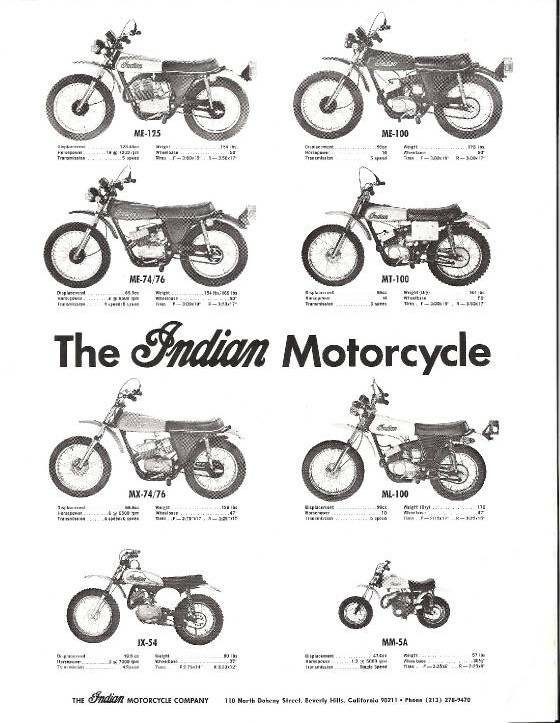 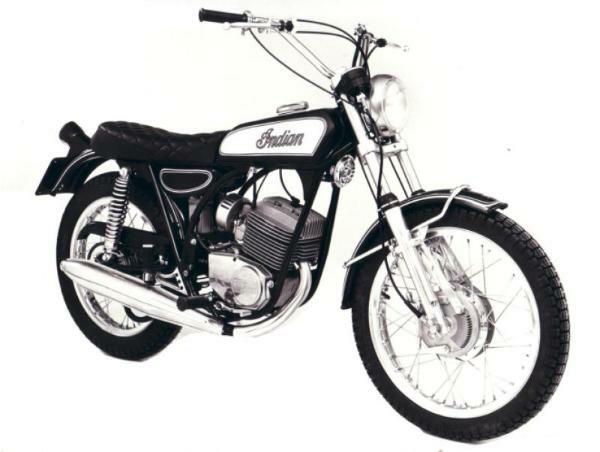 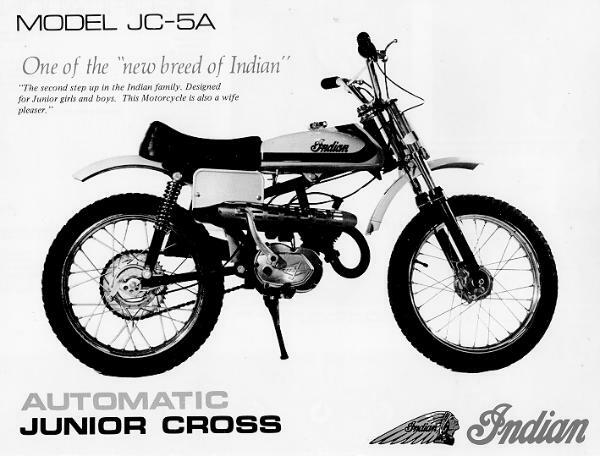 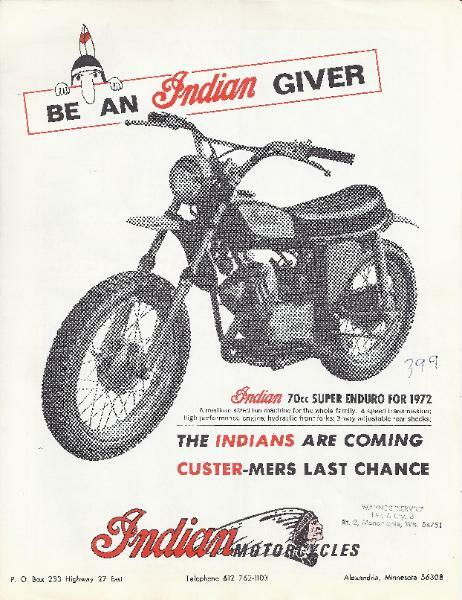 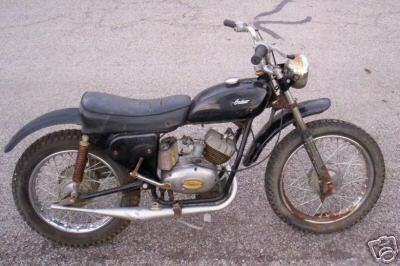 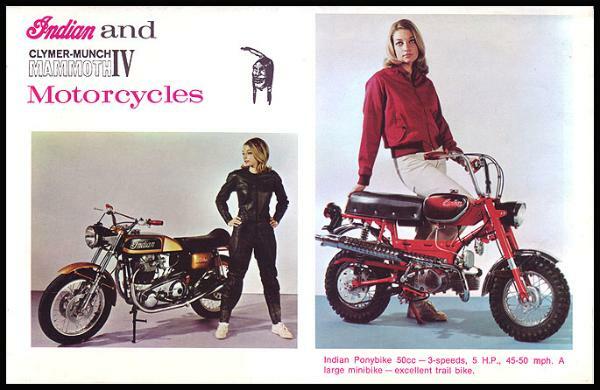 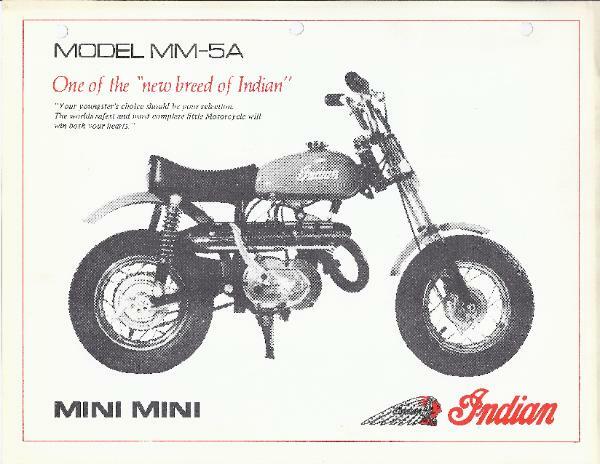 Indian powered their machines with Motori Morini Franco, Motori Minarelli, Fuji 100, and Jawa engines. 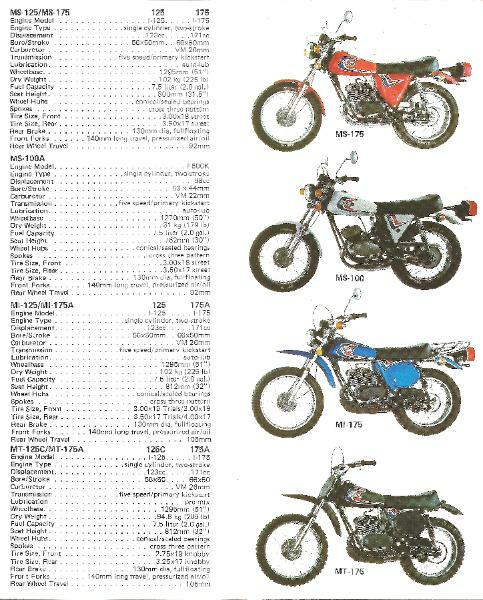 Click on picture of the line-up or model that you want to view. 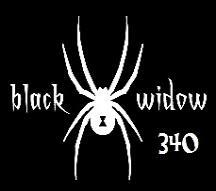 Will take a few minutes to upload. 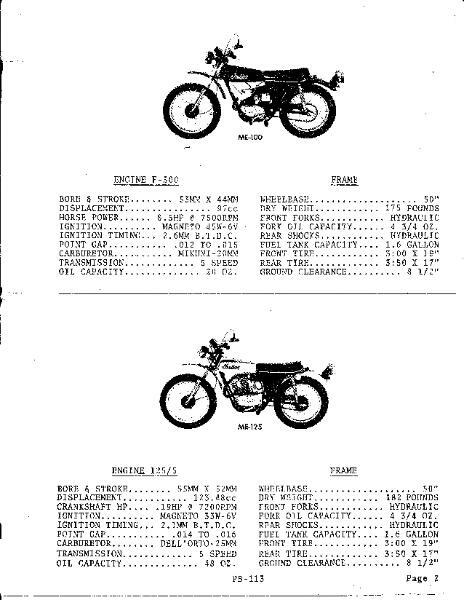 Print, save or view line-up or model. 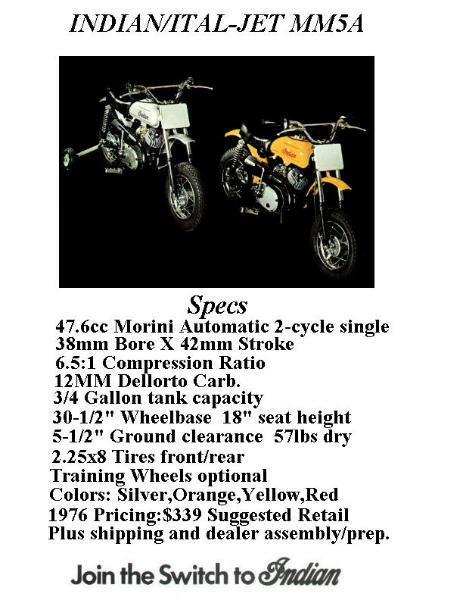 rides that I will post pictures of in the near future.